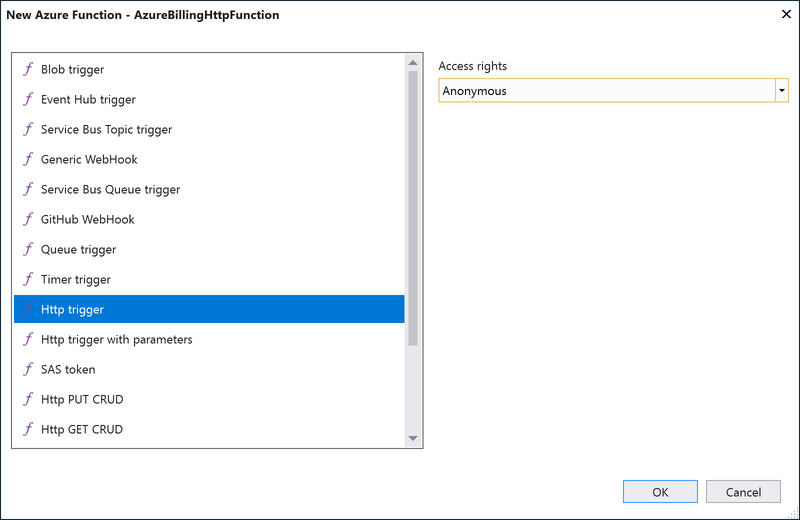 If you want to develop Azure Functions with Visual Studio, you have to install the extension “Azure Functions and Web Jobs Tools”. 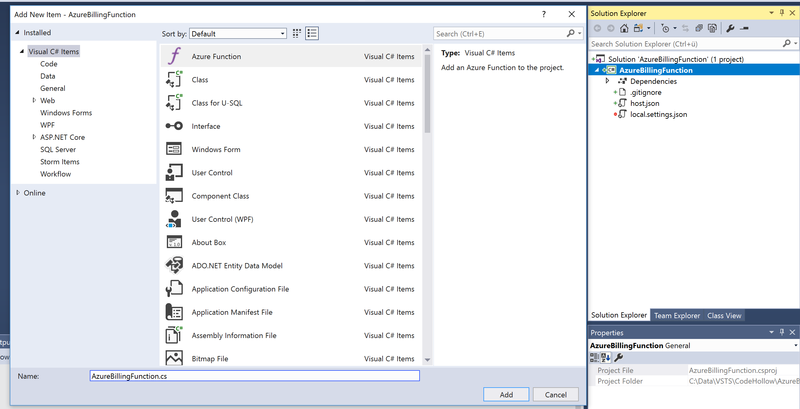 The first step is to create an Azure function project in Visual Studio. 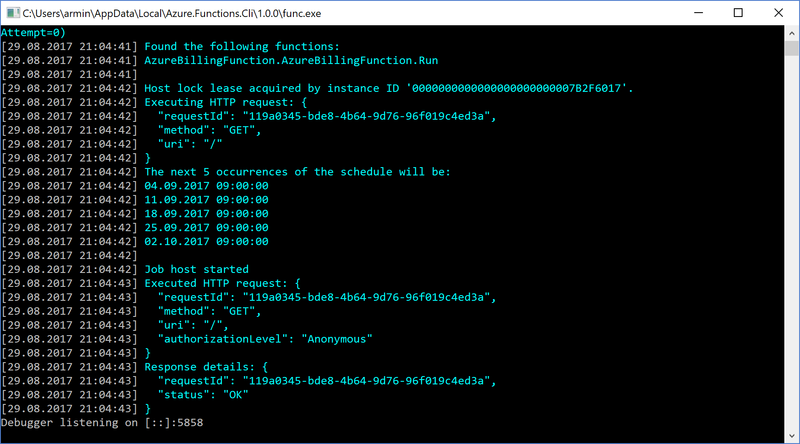 The base is set up and we can try to start our Azure function to see if it works, but at first, let’s have a look at the run.csx. 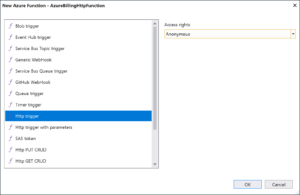 The default code only logs a message. The question is – where does it log? 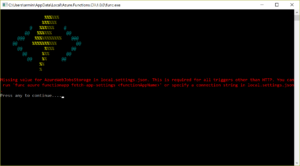 Missing value for AzureWebJobsStorage in local.settings.json. This is required for all triggers other than HTTP. 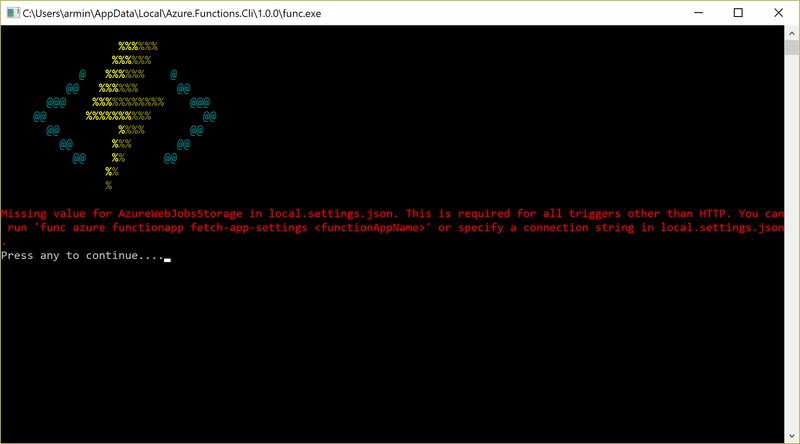 You can run ‘func azure functionapp fetch-app-settings ‘ or specify a connection string in local.settings.json. 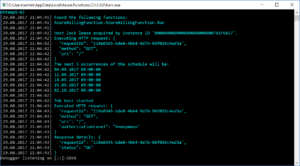 As we can see, the schedule is correct, but the function does not run. That’s because the host is working the same way as the function will, so it really runs only once a week. I prefer to use an HTTP trigger for many reasons. One is that I really can manually trigger the job, which is much better than if it is executed every 10 seconds. The every 10 seconds trigger results in waiting at the beginning and probably multiple executions during the debug session. So let’s configure an http trigger. Time to code a bit. 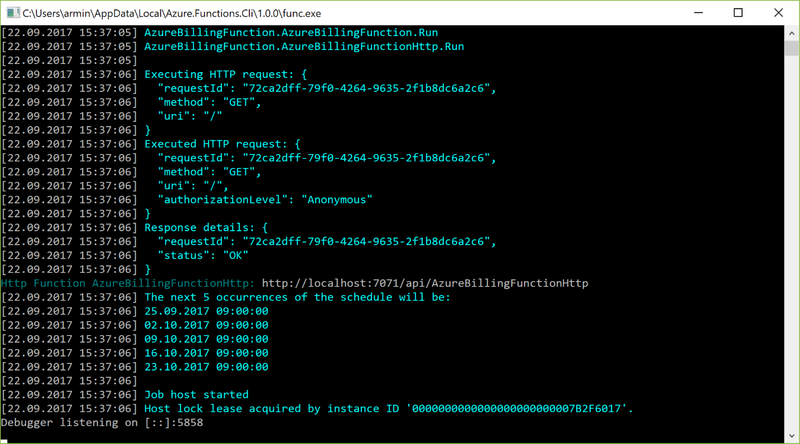 Reading the data from the Azure billing API can be done with a NuGet package that I created (see: CodeHollow.AzureBillingApi). The NuGet package can be added in Visual Studio the same way as for other C# projects. If you add one of the latest versions, you will probably get an error. 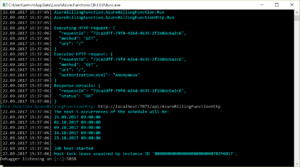 The reason is, that azure functions use a different newtonsoft json version than the one in the billing api. 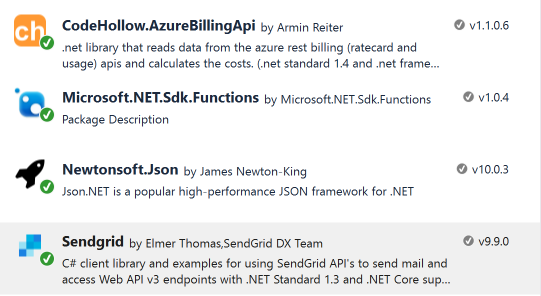 So please add the latest version of newtonsoft.json at first and then add the CodeHollow.AzureBillingApi. 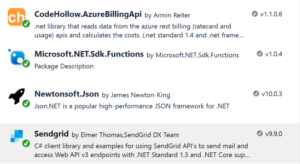 The final step is to deploy the function to azure and to wait till Monday, 09:00 to receive the billing report. Another useful solution could be a website or portal that shows you your costs. 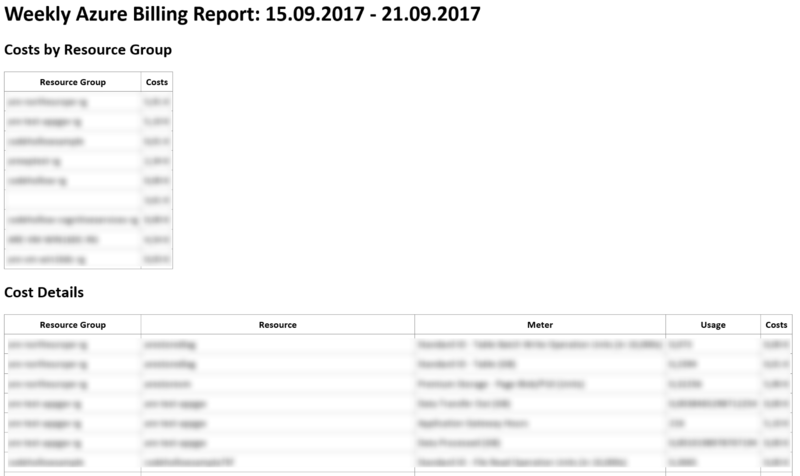 I added another function to the solution (see GitHub) that creates the same report, but it has some additional functions as it uses bootstrap and datatables. A website or portal would also be nice. Maybe I’ll find some time in the future to implement it.